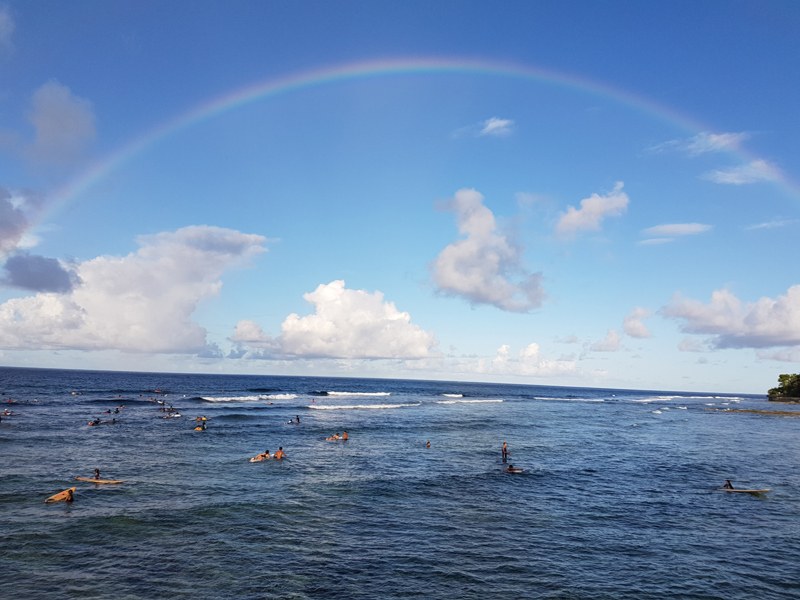 With a reputation among surfers from the Philippines and the International scene Siargao is well known as "the Surfing Capital of the Philippines" the best surf season is between July to November and the main surfing reef called Cloud Nine is easily accessable to all. There are also several coral reefs, offsore islands, and sand bars to explore. QUICK NOTE: SURIGAO and SIARGAO are two different places quite close to each other. Surigao is a city on the mainland, and Siargao is the tropical island where you go to surf (approximately a 2-3 hour ferry ride away from Surigao). From Cebu City you can fly direct to Sayak Airport on Siargao Island twice a day. 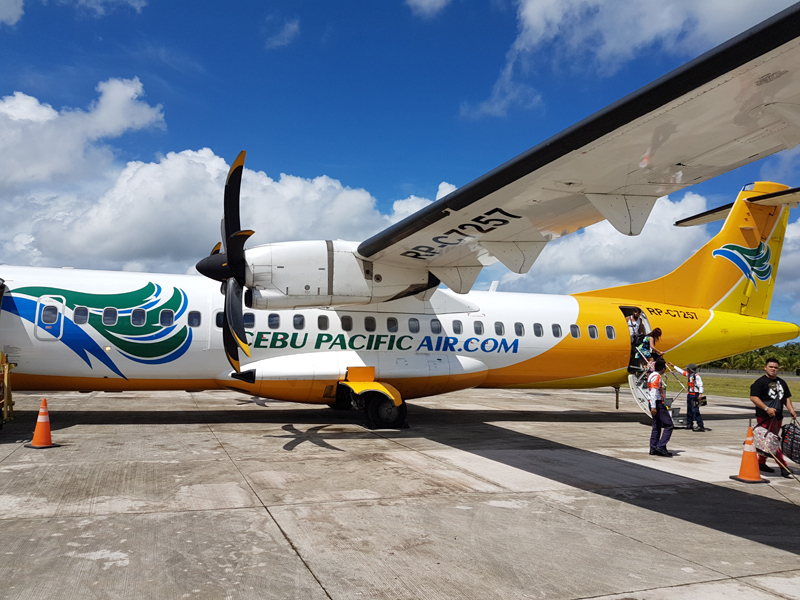 Slightly cheaper but more time consuming route: Fly from Manila to Surigao then take a boat (P350 - 3 hours) to Siargao the boat arrives in the port of Dapa just 30 minutes from Cloud Nine. There are some minibuses that can be arranged to do transfers between the airport at Sayak (one hour) or the Port of Dapa (30minutes) and General Luna. Most accommodations will also organise transfers on request in advance. At both the port and airport your arrival will be greeted by people offering assistance for these trips. 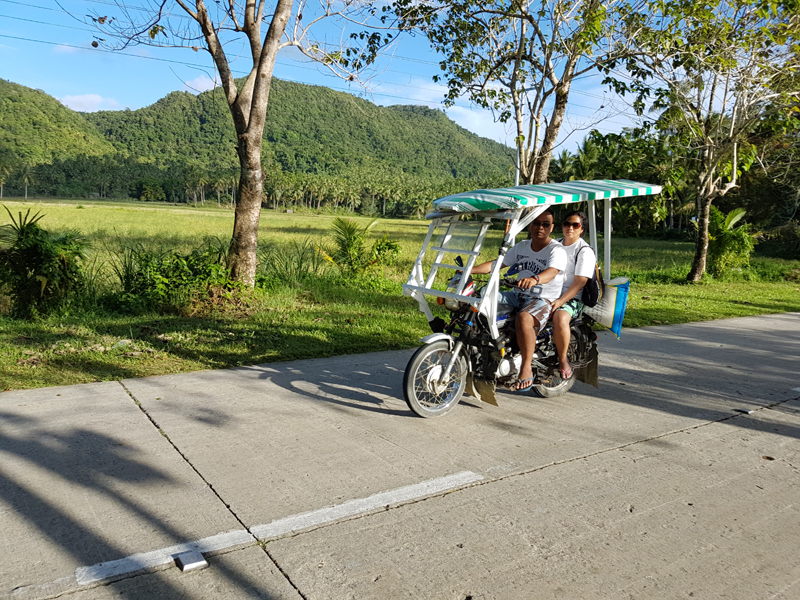 Habal habal (motorbike driven by local and you hop on the back) and tricycle are the common local forms of transport for getting around the island P20 per person per short trip.